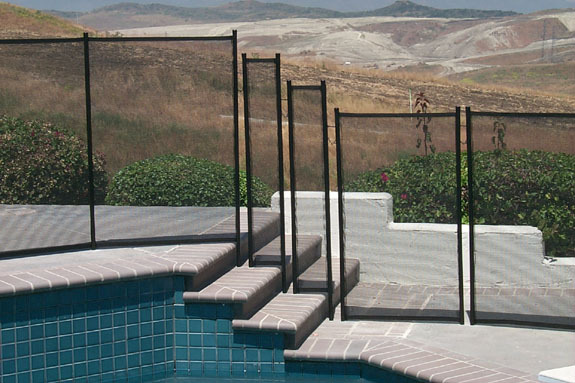 These pool and spa safety fences shown on these pages come in either vinyl coated polyester or PVC coated polyester mesh. They come with a 5 or 10 year warranty. 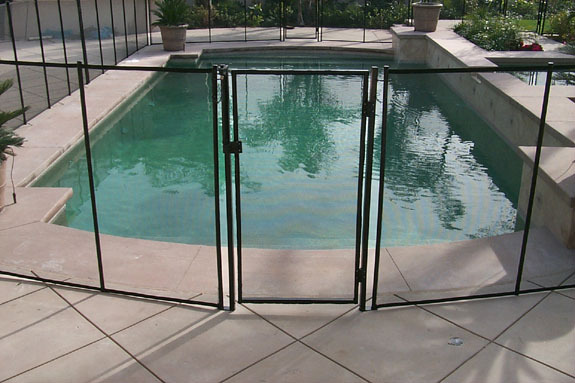 One advantage to these barriers is transparency - unlike a wood fence or solid cover, these barriers allow you to see to the bottom of the water and surrounding area at a glance. Six colors are available - silver, black, brown, tan, and white. They come in 48 or 60 inch height. Another important advantage of these fences is the holes of mesh are too small for children to climb on unlike a chain link fence! 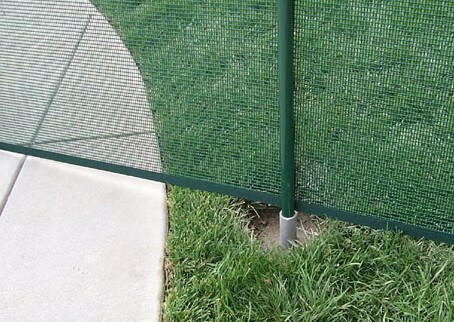 If you are interested in a safety barrier like these, contact me with your information for a free estimate. 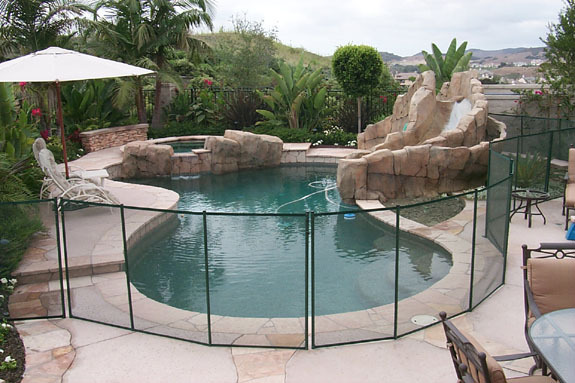 At the bottom of this page is a link to all types of fencing including pool fencing and temporary fencing. Shown below is a fence covering one side of the deck up to the existing fence. Above is the self closing locking gate, below a raised deck area and below that a raised wall. Below is a concrete footing made in grass area.